Geneva/Washington - The largest Swiss bank, UBS AG, will pay 780 million dollars in fines to avoid prosecution and settle claims of conspiring to help thousands of wealthy US citizens use Swiss bank accounts to evade taxes, the US Justice Department said Wednesday. As part of a "deferred prosecution" agreement and based on an order of the Financial Markets Supervisory Authority (FINMA) - the Swiss regulatory body - UBS is to hand over the names of some of its clients who avoided paying hundreds of millions of dollars in taxes since the beginning of the decade. The Justice Department didn't give the number of UBS clients involved. Geneva-based newspaper Le Temps reported that the bank would hand over the names of 250 clients, in a move that goes against Switzerland's long-standing bank secrecy principles. The 250 are part of a list of more than 19,000 clients who US authorities would like the Swiss to identify as part of the tax fraud investigation. Last summer, a US court issued a warrant for the list. The US clients held assets in offshore accounts allowing them to fall under the secrecy provided by Swiss banking laws. UBS employees, with the knowledge of the bank's top executives, helped US taxpayers open new UBS accounts in the names of sham nominees. Their assets were then transferred to these new accounts, so that the US taxpayer in question would not be identified as a beneficiary, court documents unsealed Wednesday revealed. The US claims that Swiss bankers frequently travelled to the US to market Switzerland's well-known bank secrecy laws. According to court documents, Swiss bankers allegedly travelled to the US approximately 3,800 times in 2004 alone to discuss their clients' Swiss bank accounts. They used encrypted laptops and other counter-surveillance techniques to avoid detection and protect their clients' identities and accounts, the Justice Department said. 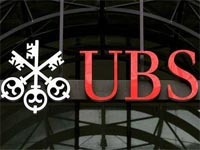 As UBS agreed to resolve US allegations that it helped US citizens hide accounts from the Internal Revenue Service, the US government said that it would not pursue criminal charges on the condition that the bank makes promised reforms, provides clients' names, pays a hefty fine and halts the practise of providing banking services to US clients with undeclared accounts. "UBS executives knew that UBS' cross-border business violated the law," said Alexander Acosta, US attorney for the southern district of Florida. "They refused to stop this activity, however, and in fact instructed their bankers to grow the business." "The reason was money - the business was too profitable to give up. This was not a mere compliance oversight, but rather a knowing crime motivated by greed and disrespect of the law." Swiss lawyers, including Andreas Rud, who represents UBS clients in the US, expressed outrage at the settlement, which he said would erode the credibility of the Swiss bank system.